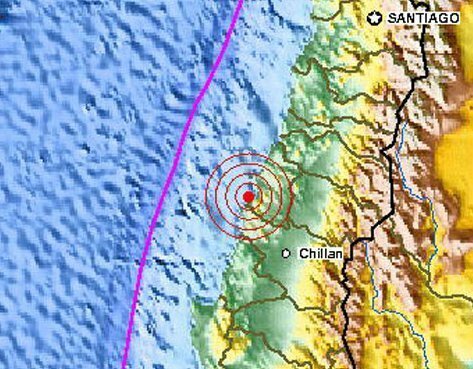 Early Saturday morning a devastating 8.8 magnitude earthquake struck Chile, setting off a tsunami which threatened a quarter of the globe. Scroll down for the latest updates. Follow the story live on our curated twitter lists here. 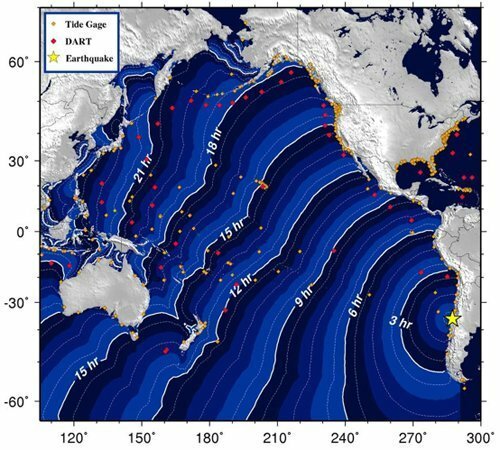 Follow the latest tsunami updates and impacts here.. Watch Live video coverage here. Read the latest from the AP here. Please email tips, thoughts, information, complaints here. 12:52 PM ET — Earthquake aftershock count. Chile hit by number 34. 12:50 PM ET — Earthquake data chart. 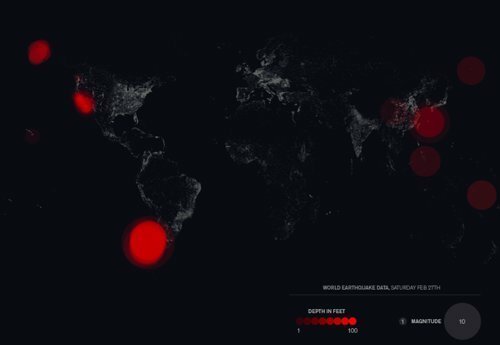 An interesting look at the earthquake data, uploaded to flickr by Nick Bilton. See full size here. * * * * * *11:55 AM ET — ‘The TV went flying’. AP speaks to an American tourist in Chile who describes the experience of being woken up by the quake. 11:50 AM ET — Aftershocks in Chile. US Geological Survey reports that the country was just hit by its 30th major aftershock, this one of a magnitude of 5.5. 11:40 AM ET — Video of the aftermath. Raw video from the AP in the wake of Saturday morning’s earthquake. Estimated arrival times in the US are here. In 2008, Charlotte Dennett ran for Attorney General in Vermont. Dennett’s key campaign pledge – if elected, she would appoint Vincent Bugliosi as a special prosecutor to seek a murder indictment against George W. Bush for the deaths of U.S. soldiers in Iraq. He also had an enviable track record as an assistant district attorney in Los Angeles – 105 out of 106 successful felony jury convictions and 21 murder convictions without a loss. Bugliosi is best known for his 1974 classic Helter Skelter – which documents his successful prosecution of Charles Manson and several other members of the Manson family for the 1969 murders of Hollywood actress Sharon Tate and six others. Manson was not present at the murder scene. When Dennett announced her candidacy for Attorney General of Vermont in September 2008, Bugliosi was at her side. Now, Dennett has written a book – The People v. Bush: One Lawyer’s Campaign to Bring the President to Justice and the National Grassroots Movement She Encounters Along the Way (Chelsea Green, 2010). 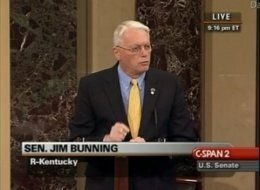 Update— Sen. Durbin tried once more to pass the extension by unanimous consent this morning, and Bunning objected again. This Monday, Army Gen. Ray Odierno, the top U.S. commander in Iraq, asked officials in DC to approve contingency plans to delay the withdrawal of US combat forces. The next day, the New York times published an op-ed asking president Obama to delay the US withdrawal and keep some tens of thousands of troops in Iraq indefinitely. Both the Pentagon and NY times article argue that prolonging the occupation is for Iraq’s own good. According to these latest attempts to prolong the occupation, if the US were to leave Iraqis alone the sky would fall, a genocidal civil war will erupt, and Iran will takeover their nation and rip it apart.